Clay idols are bought from stores based on the family's budget and the idol is kept covered with plastic sheet or grass, before the pooja is conducted. People carry the idols to their homes singing and chanting god ganesh songs and they are placed on a raised platform in their homes. In Maharashtra a priest invokes life into the idol by chanting many mantras and the ritual is known as 'pranapratishhtha'. After this the 'shhodashopachara' (16 ways of paying tribute) follows. Coconut, jaggery, 21 'modakas' (rice flour preparation), 21 'durva' (trefoil) blades and red flowers are offered. The idol is anointed with red unguent or sandal paste (rakta chandan). 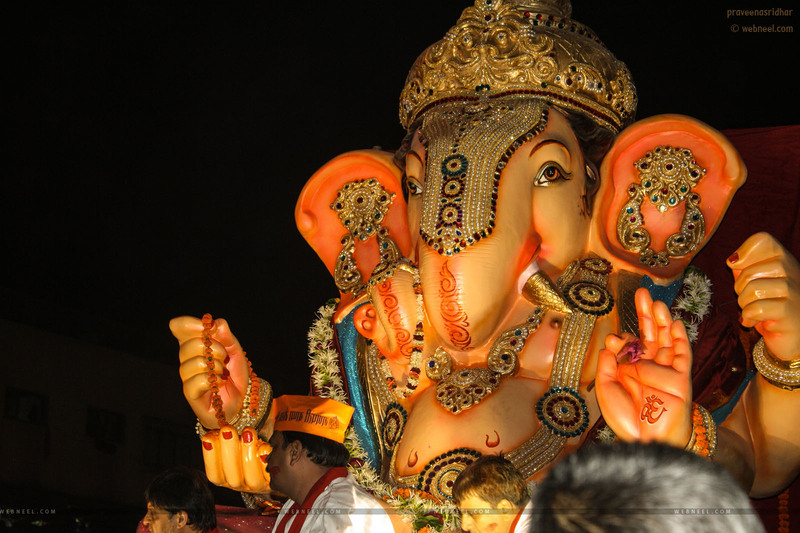 Throughout the ceremony, Vedic hymns from the Rig Veda and Ganapati Atharva Shirsha Upanishad, and Ganesha stotra from the Narada Purana are chanted. For 10 days the idol is worshipped with offerings to the god, on the 11th day the idol is taken away to be immersed. The immersion ceremony is also very big as the streets throng with people beating drums, throwing holi colour and singing "Ganapati bappa morya". Ganesh Chaturthi is celebrated with great devotion all over India. 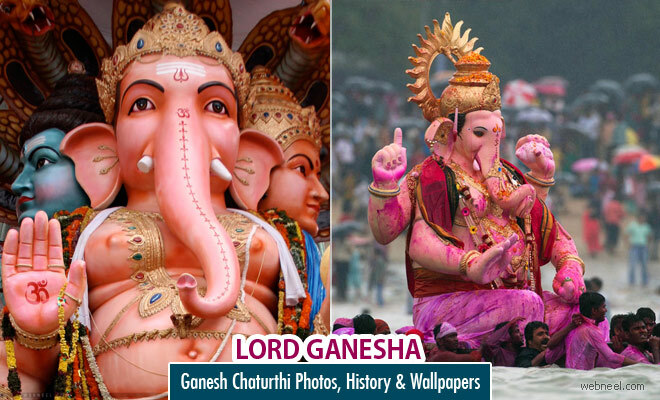 People bring home murtis (Idols) of Lord Ganesha and celebrate the festival by worshiping the Lord in a special way for a day and a half, 3 days, 5 days, 7 days or 11 days depending on the family tradition and commitment of each individual. 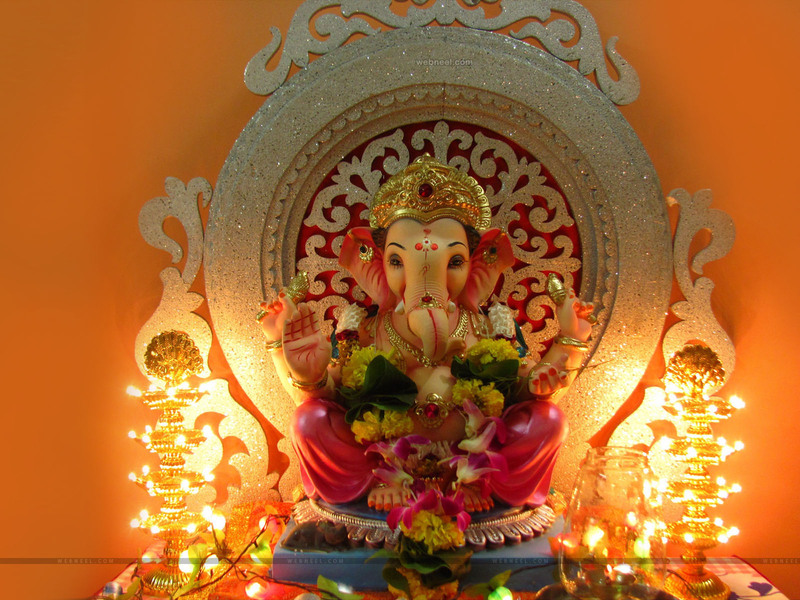 How to bring God Ganesha to home: For bringing our favourite god ganesh home, we need to prepare ourselves with these items. 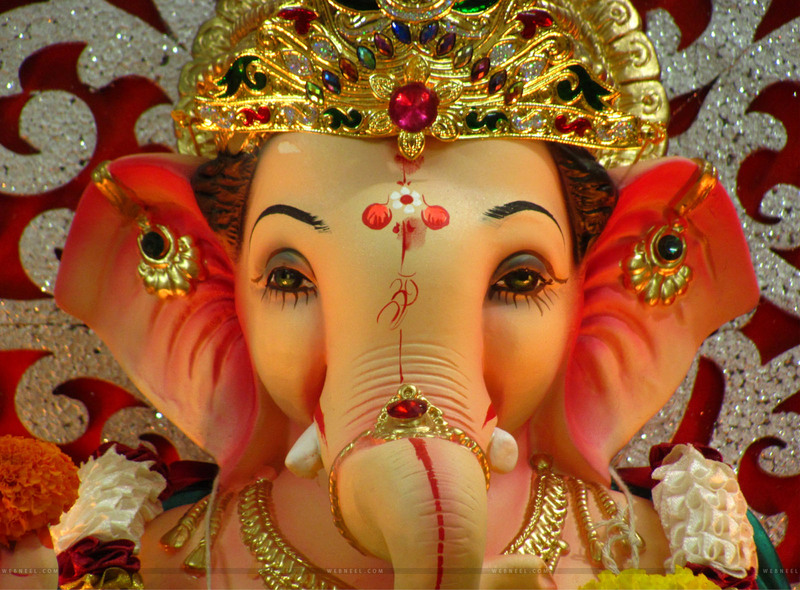 Most people bring home Lord Ganesh one day prior to the ceremony. Items required: Aarti Thaali, Beetle Leaf, Paan, Matchbox, agarbathi(incense stick),coconut,cloth to cover idol,cloth to cover the slab in which the idol will be carried. Light the agarbathi in the pooja thaali and place the idol on the slab on which the idol will be carried. Close the face of the idol with a cloth and open the cloth only on the day of the festival. Before taking the idol inside the house, ask a family member to shower colored rice to welcome the idol. Modak Recipe: Modak is the famous sweet prepared during the festival, so here is an easy recipe which can be enjoyed by all family members. 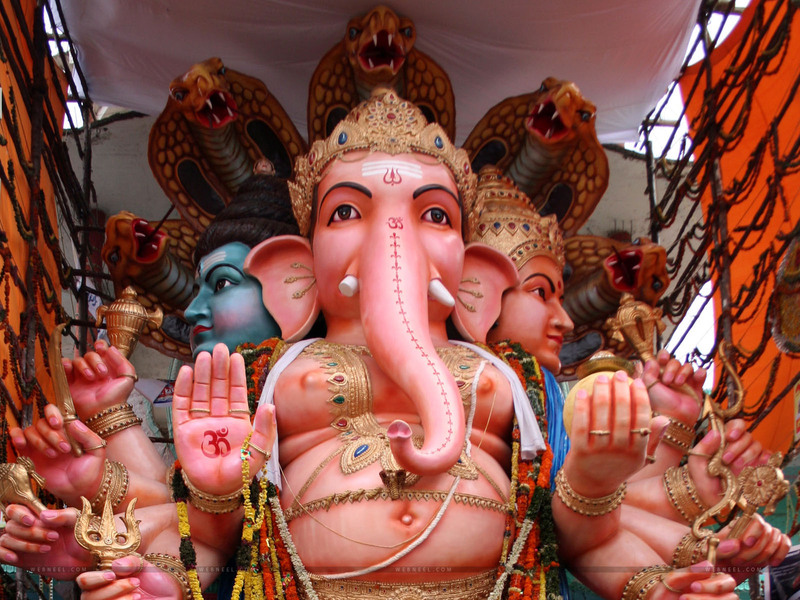 Ganesha — the elephant-god riding a mouse — has turned into one of the favourite gods amongst Hindus. This recommends the significance of Ganesha, as well as shows how prevalent he is the people's mind. The child of Shiva and Parvati, Ganesha has a monstrous face with a bent trunk and huge ears, and an immense pot-bellied body of an individual. He is the Lord of progress and destroyer of shades of malice and snags. He is likewise loved as the lord of training, learning, insight and riches. Truth be told, Ganesha is one of the five prime Hindu divinities (Brahma, Vishnu, Shiva and Durga being the other four) whose heathen worship is celebrated as the panchayatana puja. How Ganesha Got His Head : According to Shiva Purana, the story goes like this: Once goddess Parvati, made a kid out of the soil of her body and gave him the assignment of guarding the passageway to her washroom. At that point when Shiva, her spouse returned, was astonished since he was denied entry by the kid, and in a fit of anger cut off the little boy's head. When Parvati heard the news, she was devastated and Shiva tried to soothe her by sending his guards(gana) to get the leader of any dozing being who was found in the north. The guards found a dozing elephant and brought back its disjoined head, which was then connected to the kid's body. Shiva restored its life and since then Lord Ganesha was known as 'Ganapati'. 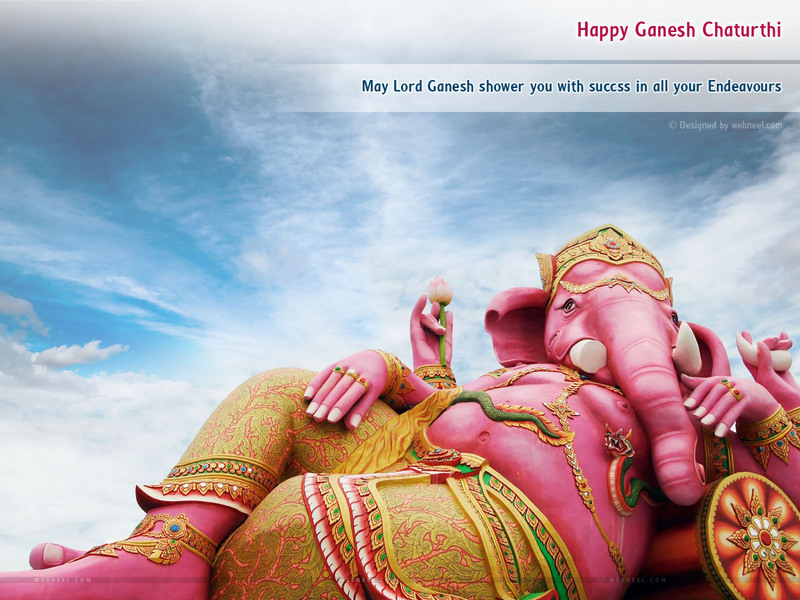 May Lord Ganesh shower you with succss in all your Endeavours. 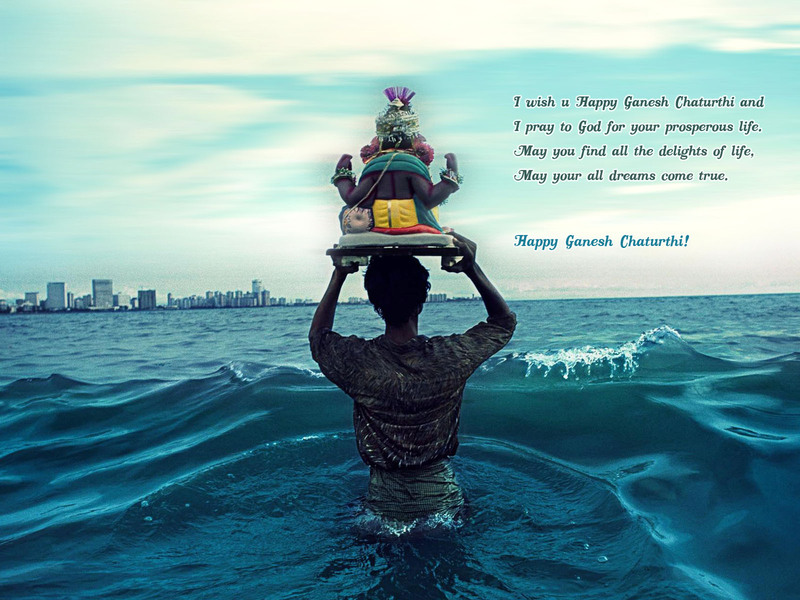 Sending you wishes on Happy Ganesh Chaturthi!